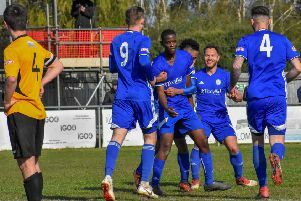 Stamford, who have lost striker Sam Mulready to higher-level St Neots this week, beat Bedworth United 3-2 in the Evo-Stik NPL First Division South on Tuesday, scoring in the 92nd minute through Ryan Robbins, adding to goals from Lee Beeson and Ollie Brown-Hill. Blackstones have boosted their ailing Division One squad by picking up four players, Craig Hill, Adam Piergianni, Jack Bates and ex-Posh player Daniel French, from the defunct Whittlesey Athletic UCL club. French will also help coach the team.